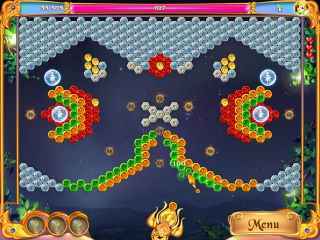 Free Download Fairy Jewels 2 Game or Get Full Unlimited Game Version! Help Wonderland shine with new splendor in a magically entertaining puzzle adventure that's full of family fun! In order to get advantaged of playing Fairy Jewels 2 full unlimiteg game version you must register the game. The fairies of Wonderland are trapped and their town has been destroyed! You are the young sorceress Kalina and you must help them defeat the evil witch who did this! With your help, the fairy town can shine with new splendor. In the 120 beautiful levels of this exciting puzzle game you'll clear away jewels and free fairies with your magical wand, using many powerful spells along the way! It's an enthralling, entertaining and funny story that's full of family fun! 12 Amazing Spells To Cast! Rebuildable World Map To Explore! 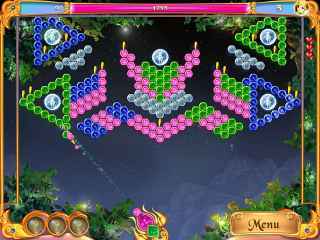 Enjoy wonderful puzzle action combined with a fantastic journey through a magical fairy adventure! It's an intriguing challenge for the entire family! It's a mesmerizing puzzler with a creative twist that won't just have you passively matching tiles, you'll be adventuring through them! Match jewels and create awesome combinations in Insane Jewels! Travel the world over and help Alex collect the Travel League`s stolen jewelry in this fun and exciting Hidden Object game!